Wow 2 projects posted in one day..
Lisa, here is the gift (Sign For Your Craft Room) for winning the Top Commentator for August. Hope you like it. I tried to use the colors you said you like and everyone knows you love mermaids. Will go in the mail tomorrow. Your little mermaid is awesome and Lisa is a lucky lady! Hello there! I am your newest follower. 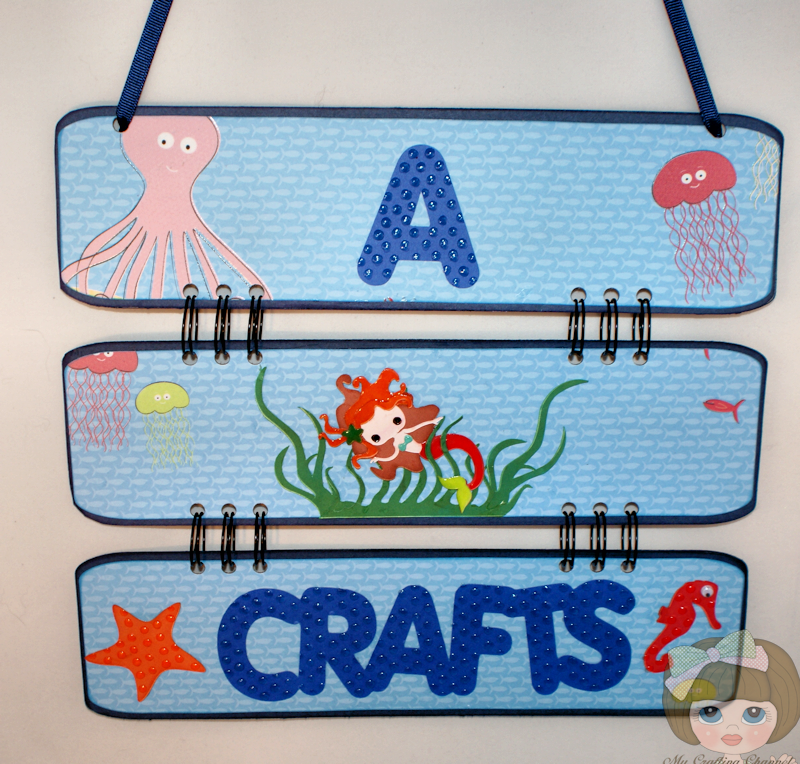 I learned of your blog from the lovely Migdalia of Creative M.
Your hanging wall art is fabulous! Lots of details, adorable colors, super cheerful. I am off to see more. Hope you can follow my blog too. OMG!!Nana!! !Lisa is going to LOVE her Sign!! !This is GORGEOUS! !The mermaid is Adorable!! The mermaid's friends are soooo cute!This is sooo her!!WOW!! !You just blew my mind..love when you do that! 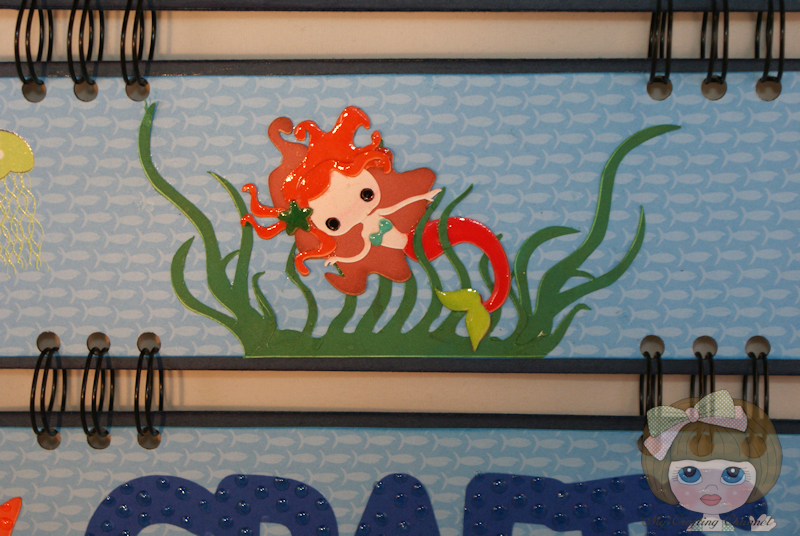 !I cannot stop looking at the Mermaid...so darn Cute! !Just love your Creativity!!!!Awesome! !You ROCK!!! LISA will be so excited to receive this hand made gift!! Congrats to her and to you on an awesome project! WOW! Nana:) Lisa and Migdalia are going to LOVE their lovely signs!!! Have a fantastic day!! Adorable! Lisa is goong to love it! :) I just love the mermaid, shes so cute with all her sea friends:)lol. She's going to love this wall hanging!!! It's just awesome!!!! Oh what fun it will be for Lisa when she returns back home to see this darling sign for her Craft Room. It is super darling Nana! Great Job and so creative! Oh my goodness, this is so PRETTY! I know Lisa will just fall in LOVE with this! I'm sure it will bring joy to her craft room. So very sweet of you! Nana, Oh my goodness Lisa's sign is soo stinkin' cute!! 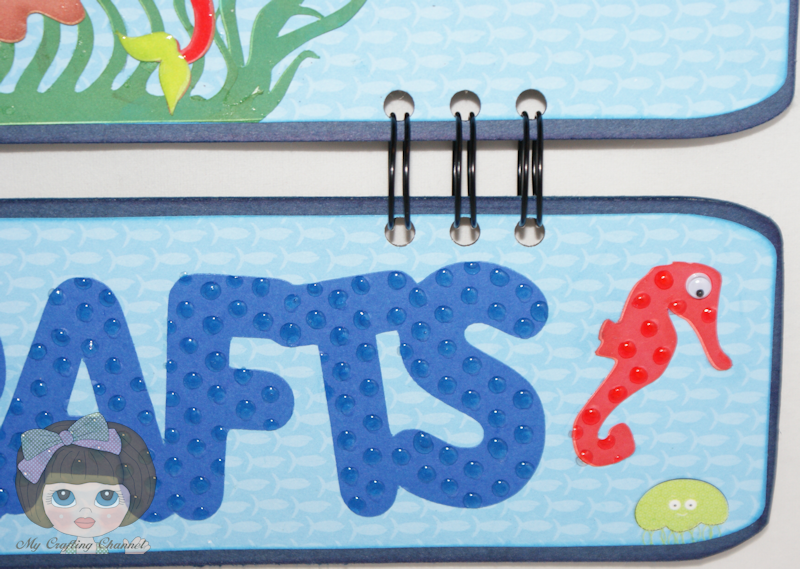 LOVE that mermaid and the other die cuts, as well! I am positive Lisa is going to adore it!! You did a wonderful job!! Thanks for stopping by my blog and for the sweet comment! You know I just love this!!! Oh Nana, this is SO CUTE! The colors are gorgeous! Lisa is a lucky girl! Congrats Lisa and Nana this is so cute!! I love it, Lisa will loooovvveee it!! Lisa is going to adore this!!! How nice of you and you did such an incredible job!!! This is soooooooooooo Lisa! The sign is so cute! You did a fantastic job! This sign is beautiful! What a great job! oh wow she is going to love it great job. Another beautiful sign! Great job! Wow this super cute!! Im sure Lisa will love it!! WOWZERS!! Lisa is going to LOVE this!!! What a great home decor project personalized perfectly!! Awesome job Nana and can not wait till Lisa sees this!! !